Frasers Property's strong 1Q19 results led by development profits and contribution from newly acquired assets. Sales volume fell 8% y-o-y mainly from Singapore, offset by Australia and China despite headwinds. The 455-unit Riviere (Jiak Kim site) on track for launch in 1HCY19 and includes 80 serviced apartments. Continues to landbank in Australia. Growing developer with high dividend yield. 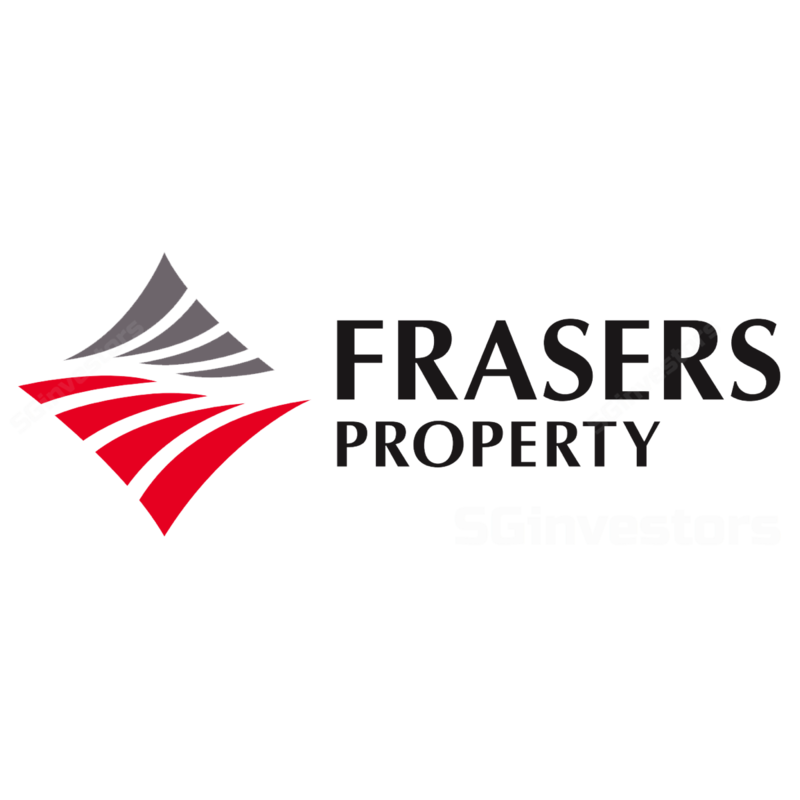 We maintain our BUY rating on FRASERS PROPERTY LIMITED (SGX:TQ5) despite the recent property cooling measures implemented on the property sector as the stock’s valuation remains attractive at 0.6x P/NAV and its dividend yield is the highest among developers at more than 5%. Where We Differ: Defensive play with low exposure to Singapore property and high dividend yield. We believe Frasers Property is a good defensive play within the sector as it has low exposure to Singapore’s residential property market (~5% from Jiak Kim land site). Frasers Property currently offers a dividend yield of over 5%, the highest among the developers and is comparable to the REITs. Potential catalyst: Improved property sales, asset monetisation, and improving free float and liquidity. Strong 1Q19 results supported by development profits from Australia and China, and contributions from recently acquired commercial properties. 1Q19 net profit jumped 76% y-o-y to S$146m (marginally above). Excluding fair value changes and EI, net profit would have grown 87% y-o-y to S$140m. Core PBIT increased by 51% y-o-y, supported by development properties (+115%) and recurring income (+17%). Sales volume shrunk 8% y-o-y with lower sales from Singapore, offset by China and Australia. Unrecognised development revenue decreased to S$1.6bn vs S$2.2bn at end-FY18. We maintain our BUY rating and Target Price of S$1.98. Our Target Price is based on 35% discount to RNAV. Dependent on the outlook of the Australian real estate market and currency. Frasers Property derives an estimated 30% of PBIT from Australia, and returns could be impacted by the weakening AUD/SGD exchange rate. Strong results led by development properties from Australia and China, contributions from Frasers Tower and south wing of Northpoint City. Frasers Property Limited's 1Q19 net profit grew 76% y-o-y to S$146m, forming 29% of street’s full-year estimate. Net profit growth was largely led by higher development profits mainly from the settlement of properties in China and Australia. Recurring income grew 17% y-o-y, mainly led by contributions from Frasers Tower and the south wing of Northpoint City which commenced operations in May18 and Dec17 respectively. 1Q19 revenue grew 45% y-o-y mainly due to settlement of development projects in Australia and China, a full quarter’s contributions from the UK business parks acquired in FY18. Profit before interest, fair value change, taxation and exceptional items (PBIT) grew 51% y-o-y led by higher contributions from development properties (+115%) in all markets except Singapore. Recurring income grew 17% y-o-y, largely from contributions from Frasers Tower and the south wing of Northpoint City which had minimal /no contributions in 1Q18. EBIT margins improved to 30% vs 27% in 1Q18 and 24% in FY18, possibly led by development properties. 1Q19 sales volume fell 8% y-o-y to 502 units due to lower sales from Singapore; unrecognised revenues fell to S$1.6bn (vs S$2.2bn in FY18). All markets recorded higher sales volume except Singapore (-85% y-o-y) following its only project available for sale, Seaside Residences, which is now more than 85% sold. Australia recorded strong sales of 33% y-o-y despite the dampened residential property market. Similarly, China recorded strong sales of 44% y-o-y to 147 units in 1Q19 despite tight government controls and trade tensions with the US. Frasers Property Limited plans to launch the next phase at Gemdale, Phase 5H in 1HCY19. Thailand and Vietnam recorded strong sales of 3.6k and 0.3k units respectively in FY18. These numbers have yet to be included in the sales volume numbers above. Unrecognised development revenue continued to fall from S$2.2bn in 4Q18 to S$1.6bn as at 1Q19, as sold properties were completed. Last two ongoing projects in China, and ongoing industrial and retail projects in Australia will be completing in FY19. Major projects that will be completing in FY19 include residential projects in Australia which are mostly more than 95% sold except two projects with 33% and 81% sales take-ups, and in China, Gemdale Megacity (Phase 4D) (99.8% sold) and Baitang One (Phase 3C2) (93% sold). Based on the estimated project completion timeline, there are a number of industrial properties completing in FY19 with total area of 155 sqm (of which five industrial properties with a GDV of S$436m are earmarked for third-party sale) mainly in Victoria, Queensland and New South Wales. Riviere (Jiak Kim site) expected to be launched in 1HCY19; potential asset monetisation to crystallise value. Frasers Property Limited’s only land bank in Singapore, the 455-unit Riviere (Jiak Kim land site) is on track for launch in 1HCY19. The development will also include Fraser Residence Promenade, comprising 80 serviced apartments fully integrated with the conserved warehouse. In Australia, Frasers Property Limited released 300 units for sale in 1Q19 vs FY19’s target of 2,200 to 2,300 units and has settled 580 units vs FY19’s target of c.2,300 units. The team continues to look for new landbank and has secured one new site in Victoria, The Grove, with potentially 1,780 units and expected to be completed by 2025. It has also added 2 new industrial sites for development in 1Q19. Frasers Property Limited’s managed REITs are actively looking to grow their AUMs and are trading at yields that are conducive for potential asset monetisation opportunities at an appropriate time. Net cash inflow improved following collections from the settlement of development properties. The group saw minimal net outflow from investment activities and marginal net inflow from financing activities. Slight increase in financial metrics. Net debt-to-equity remained relatively stable at 84%, after adjusting for perpetuals as debt (Debt+Perpetual securities)/Equity remained flat at 2.3x. The percentage of fixed rate debt dropped marginally to 76% (vs 78% in FY18). Cost of debt remained stable at 3%. On a debt-asset perspective, it remains stable at 0.52x (on an adjusted Debt + Perpetuals/ Asset perspective). We maintain our BUY rating on Frasers Property Limited despite the recent property cooling measures implemented on the property sector as its valuation remains attractive at 0.6x P/NAV and its dividend yield remains the highest among developers at more than 5%, making it a safe harbour in uncertain times. Refer to the PDF report attached for RNAV valuation details. improved free float and liquidity in the market with the potential restructuring of TCC Group, THAI BEVERAGE PUBLIC CO LTD (SGX:Y92) group of companies.